In general terms, we expect that people who ask our permission, who require our consent, will have the morals and ethics to respect our wishes and do the right thing. Recently however, I have seen a few examples where, frankly, the people concerned have the morals of a snake. I’ll say no more on that, but it prompted me to think more widely about these terms; ethics, morals, consent, permission. In my own field of life science research, no research may be undertaken without a prior favourable ethical opinion. It used be ethical approval, which implied that a peer-reviewed process had taken place, and an important group of senior people had carefully considered the application and deemed it ethical to conduct the research. Now, it simply means that a committee has spent a few minutes of the agenda discussing the merits of the work, and no responsibility or blame can be put their way should the experiment turn out not to be ethical, either in its design or in the outcomes. A matter of semantics, perhaps, but important none-the-less. Important because many of the subjects for my research are human volunteers who trust us, the scientists, to do the right thing. Now, I don’t want to put anyone off contributing to a research project; we do still need to do research using human subjects. But I do want to point out that the administration of the rules is not what it should be. To my knowledge, there is no enforcement of the consent. I have seen inspections. I have seen paper records. I know that biological material collected years ago is still lurking in the bottom of freezers in research laboratories. Consents and research records belonging to PhD students who have long-since moved on lingering on dusty bookshelves in study rooms. There is almost no way of knowing which material should be destroyed, ethical opinion and consents having long-ago expired. And that’s just in small university laboratories. Surely in large pharmaceutical and biotech organisations the record keeping and ‘policing’ of the research consents is more robust? Well, yes it is, and that results in a different problem. Large organisations who embark on long term research require consent from participants to be able to follow up on the outcomes of the research over a very long period of time, decades in some cases. With changes in technology, particularly in genetic research, where even five years ago the cost of this work would have prohibited it, that is no longer the case. Cost are down, through-put is up. In short, scientists can analyse more data, more quickly, at much lower costs. If the material already exists, if the methodologies are the same, there are also no start-up costs. Results could be coming within days. That means that if you volunteered ten years ago, donated a tube of your blood, approximately 10ml, and gave scientists permission to keep cells, plasma and DNA, they will still have all those bits of you in storage and on file. I mentioned genetic research, for this is where I am most concerned. When you donated that small amount of blood all those years ago, you were probably young, in your twenties (most lab volunteers are), and too young to be showing any sign of disease. Your parents would have been young too; too young in most cases to have cancer or heart disease. You wouldn’t yet have had children either. And now, what if you are told that scientists have just worked out that your DNA shows a variation recently found to be associated with cancer – would you want to know? What would you do about it? Cancer cannot be treated if it hasn’t formed a tumour yet. This is the proposal of researchers, owners of these so-called ‘bio banks’, because orig inal research is too expensive and largely unfunded. Would you still give your consent for your material to be used? I believe that material collected more than five years ago should either be destroyed or re-consented. Yes, that will cost money, but it keeps science honest and transparent. It makes sure that scientists’ personal ethics and morals are not tested. 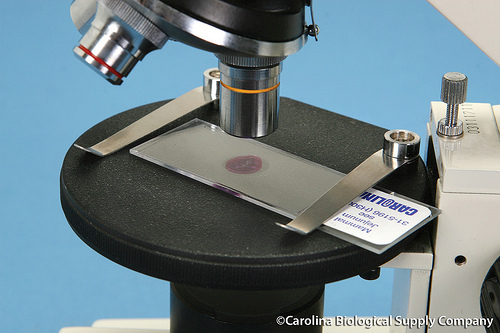 It introduces a check that the material we think is there, has been stored correctly and will be useful in the research. Very often, biological material degrades over time and is useless. Better then to destroy it. And finally, I must reveal here that I never allowed my cells or DNA to be stored. I have never used my own blood, cells or DNA in any experiment I have conducted. I do not want to know that I have a particular genetic variation. Until scientists are clever enough to re-program my genetic material, there are some things not worth knowing. Of course, there are some conditions for which there are extremely good genetic tests, and with the correct counselling, it is very helpful to do these tests. But these tests have made the transition from research to clinical application. We can’t change what has gone before, but we can make sure that we are informed about the future. Research must be done, human biological material must be used for research wherever possible. Don’t take ethics, morals, consent and permission for granted in science, or anywhere else for that matter.